Margaret House has 3 bedrooms, a large living room and bathroom. The Margherita house day Special is its ancient mosaic pavement, with multicolored. 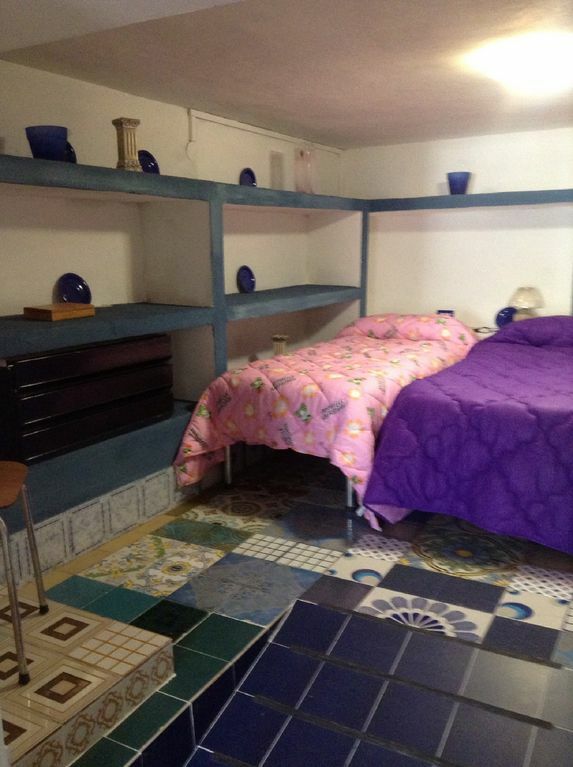 There are three bedrooms, 2 rooms with 2 beds, 1 with four beds, suitable to accommodate two families with two children each, without architectural barriers for disabled people, kitchen-living room furnished and equipped, bathroom equipped with hand rails, seat in the shower, anti-panic doors etc. The price is reported for 7 nights and maximum 4 guests. The proximity to the sea offers all the advantages that can come, the baths are near the guest house, 5 minutes away, vapor stoves, unique in Europe, the beautiful promenade along the sea.